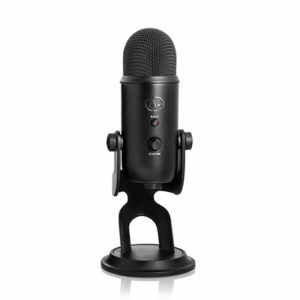 Finally, a USB mic that’s not only easy to use, but sounds as good on your desktop as it does in a professional recording studio. 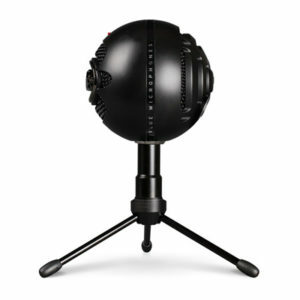 Meet the Snowball; the world’s first professional USB mic. 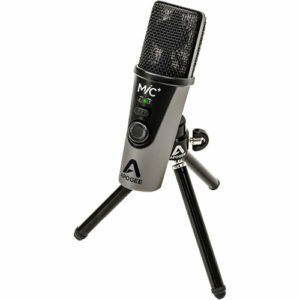 Apogee MiC 96k is a digital microphone designed to deliver studio quality recording you can take anywhere. 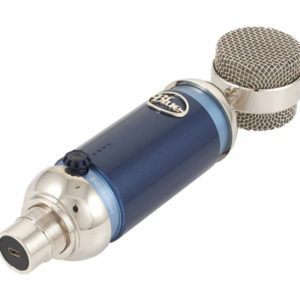 Use MiC 96k to record vocals, spoken word, acoustic guitar, piano, drums. ..anything! 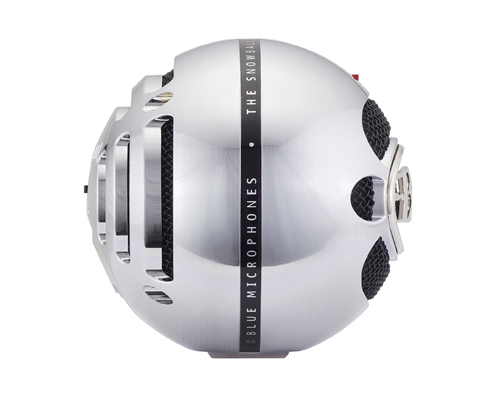 Inspired by the most revered and classic microphones in history, MiC 96k is designed to sound amazing and be easy to use with your iPhone, iPad, iPod touch or Mac. 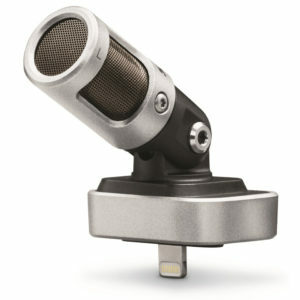 Yeti is the most advanced and versatile multi-pattern USB microphone available anywhere. Combining three capsules and four different pattern settings, Yeti is the ultimate tool for creating amazing recordings, directly to your computer. 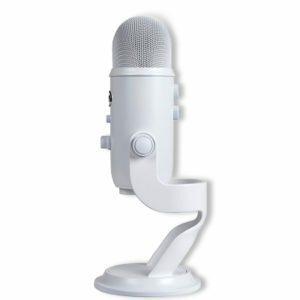 With all new total whiteout finish, Yeti Whiteout adds style and energy to your recording or broadcasting setup. 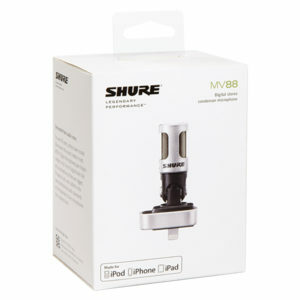 Now you can capture anything with a clarity and ease unheard of in a USB microphone. 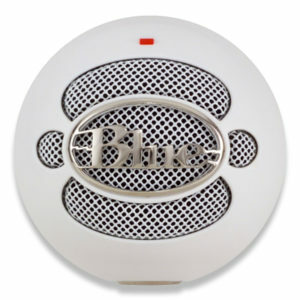 Featuring Blue’s innovative triple capsule array, Yeti can record in stereo or your choice of three other unique patterns, including cardioid, omnidirectional, and bidirectional. Utilizing a high quality A-D converter, a built-in headphone amplifier for zero-latency monitoring, and direct controls for headphone volume, pattern selection, instant mute, and microphone gain. 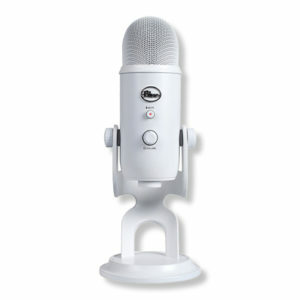 With no drivers to install, Yeti Whiteout is the most versatile USB mic lighting up the airwaves today. 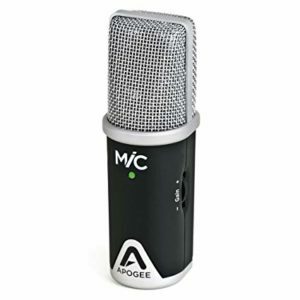 Whether you are podcasting on the road or recording instruments at a venue, the Apogee MiC Plus USB Microphone for iOS Devices is an excellent choice for pristine sound quality and A to D conversion at up to 24-bit/96kHz resolution. 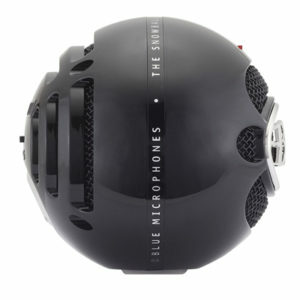 Small enough to carry in your pocket, the MiC Plus uses a high-quality cardioid mic capsule for superior rejection of off-axis sound, and it gives you 46dB of mic preamp gain, with digital control for superb precision. 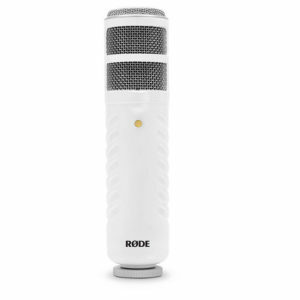 It weighs less than half a pound, and with three-color LED status/input level/Blend mode indication, headphone output Blend control that gives you zero-latency monitoring, and input gain adjustment/mute, the MiC Plus is a well-priced, high-performance portable USB mic for remote applications. 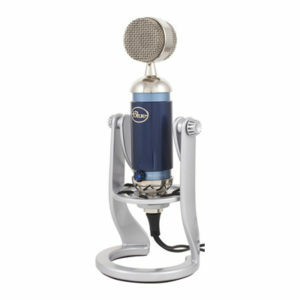 Blue’s Spark Digital USB condenser microphone/iOS interface takes the acclaimed design of Blue’s Spark condenser microphone, and adds USB connectivity for your Apple iOS device or any USB-equipped computer. 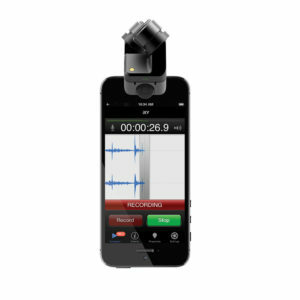 Now you can make studio-quality recordings anywhere you take your iOS device! Spark Digital features zero-latency headphone monitoring, an adjustable gain control, a mute function, and a Focus control to select from two mic voicings. 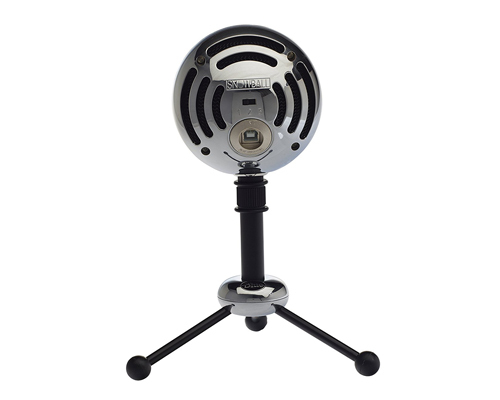 It’s ideal for recording vocals, acoustic instruments, and just about anything else you’d normally use a high-quality condenser microphone for. 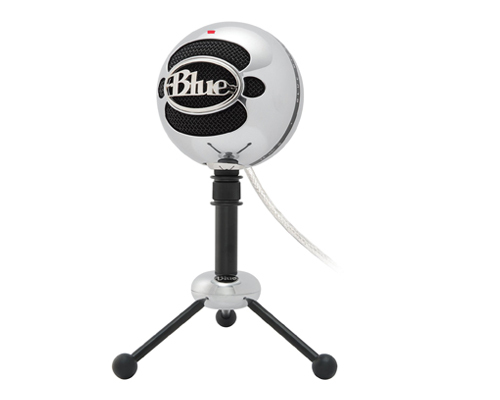 Whether you need a top-notch mic for producing with your iOS device, or just want the simplicity of plugging into your Mac or PC with just a USB cable, you’ll love the results you get from the Blue Spark Digital USB condenser microphone and iOS interface! 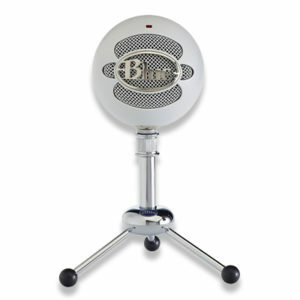 Yeti is the most advanced and versatile multi-pattern USB microphone available anywhere. Combining three capsules and four different pattern settings, Yeti is the ultimate tool for creating amazing recordings, directly to your computer. 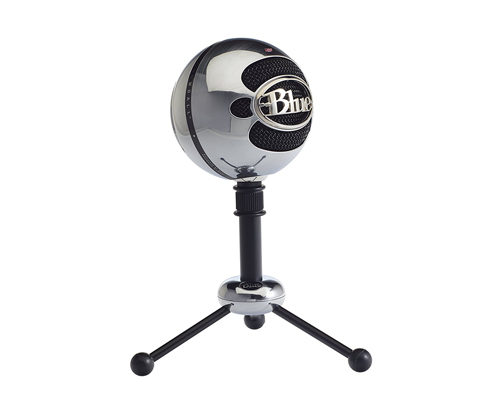 With all new total blackout finish, Blackout Yeti adds style and energy to your recording or broadcasting setup. 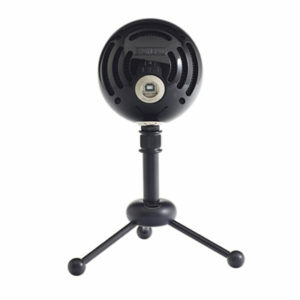 Blackout Yeti can capture anything with a clarity and ease unheard of in a USB microphone. 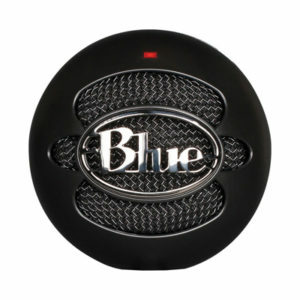 Featuring Blue’s innovative triple capsule array, Blackout Yeti can record in stereo or your choice of three other unique patterns, including cardioid, omnidirectional, and bidirectional. 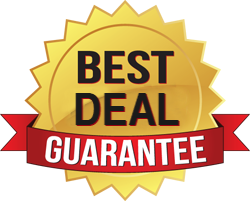 Blackout Yeti utilizes a high quality A-D converter, a built-in headphone amplifier for zero-latency monitoring, and direct controls for headphone volume, pattern selection, instant mute, and microphone gain. 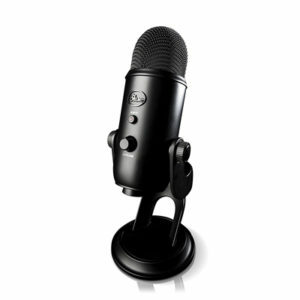 With no drivers to install, Blackout Yeti is the most versatile USB mic lighting up the airwaves today. 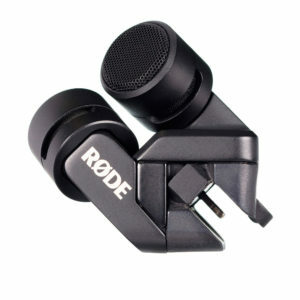 Including an audiophile quality 18-bit resolution, 48kHz sampling A/D converter, the Podcaster processes all of the analog-to-digital conversion internally, bypassing the computer’s lower quality onboard sound controller altogether. 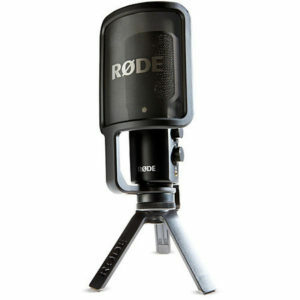 The Podcaster features an internal pop filter, designed to minimize plosives sounds that can overload the microphone capsule and distort the audio output.